Get the right type of turf that is perfect for your property. Drop off the amount you need for you to put it down yourself. Deliver and install it for you. Most jobs done in one trip. Does Your Riverside Lawn Need Some Help? Are you completely happy with the way your yard looks? If your front lawn isn’t looking too great, maybe it’s not your fault. 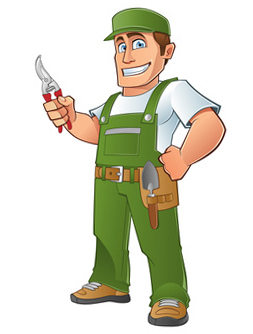 It could be that you have a newer home and you haven’t found the money to put in a yard yet, or you just completed a significant home renovation project that did some harm to your yard. It’s possible the former owner of your home didn’t care much about the lawn. His years of neglect has left you with a less-than-terrific yard. No matter what your shape of your yard is, you can get your yard looking nice again. And it could happen really quickly. One of the better Riverside lawn contractors can generally get all your new turf done in a day or so. One day you’ve got a nasty lawn and the next day you have a brilliant green lawn. They’ll usually do the total operation, from delivery to installation and to the cleaning up afterwards. They even water your new turf as soon as it gets laid down, but after that initial day, then it’s up to you. On one of those rare wet days, you may not have to water at all; most days you will. During a hot and dry Summer when we are not getting any rain, you will need to water as much as several times each day. Can I Save Some Cash By Doing Some of the Work? Okay, you can do the sod installation part yourself if you want. They provide fresh cut sod for sale and they will truck over your order to your Riverside suburb and you can put it down on your yard. Putting it down isn’t as complicated as rocket science, but like a lot of things in life, it is tougher than it looks. If you are considering doing the sodding on your own time, make sure you get the job started as soon as they drop your order off. Fresh harvested grass from a sod farm is perishable. You should get it laid on to the soil and watered as quick as you can. Sod Prices in Riverside – What is it Going to Cost? Once you get a nice yard, it will really contribute to your house’s curb appeal, and also increases your property’s possible sales valuation as well. That’s why it is a popular sales tactic of real estate agents and house-flippers. The cost of growing, trucking and putting in a grass lawn is not exactly cheap, but it really isn’t too high either. Most property owners think the expense fair when considering the long-lasting benefits of owning a great green lawn. When it comes to what it will cost, clearly the main factor in the final price of a lawn sod delivery is the quantity of grass you will be ordering. 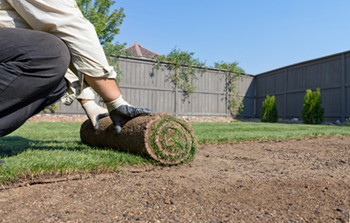 The second factor in your sod installation cost could depend on the location of your property. If you live too far out of the normal delivery area, a small transportation cost to deliver to you might come up. If you could take a reasonable measurement around your lawn and arrive at an idea of the number of square feet you need to cover, you can discuss it with a Riverside sod company and they will tell you an estimate on how much you should purchase. They’ll provide you with a firm quote about how much it’s going to cost to bring your order over to your home and complete the installation if you want them to. If your street address is convenient, they might be able to actually drive by your house and do the measuring for you. Working in most local neighborhoods including downtown, Mount Rubidoux Park, Fairmont Park and the City College area. Deliveries and installation happens in all the suburbs and most of the nearby communities as well – Arlington – La Sierra, Arlanza, Magnolia Center, North Riverside, Mission Grove, South Riverside, UC-Riverside, Norca and Corona. 1. Generate a simple sketch of your lawn that will help you measure how big it is. 2. Get some basic measurements. Do the math. 3. Make one phone call. They’ll go over all your options on the phone. They will do their best to calculate a fast cost quote. They’ll also tell you a proposed time when they can get your job started. A high-quality front lawn will improve the curb appeal of your residence. And owning an inviting back yard should prompt your family to actually go out and spend some time in your backyard. Deliveries and installation takes place in all the suburbs and most of the nearby communities as well – Arlington, Arlanza, Magnolia Center, North Riverside, Mission Grove, South Riverside, UC-Riverside, Norca and Corona.